Whether it's to treat your friends, family or colleagues, The Greyhound Gift Vouchers are the perfect way to treat that special person. 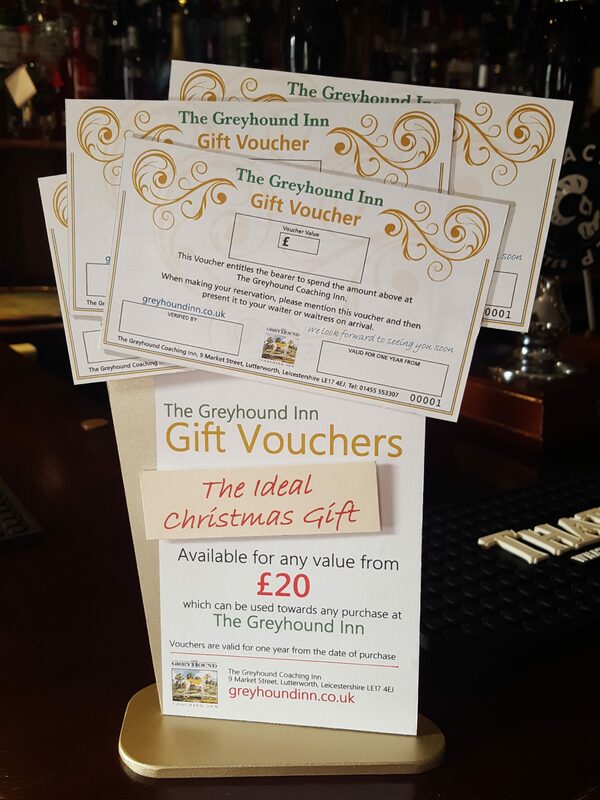 Your Greyhound Gift Vouchers can be redeemed* against overnight accommodation or food and beverages in the Greyhound Inn Restaurant or Lounge Bar. You can order your vouchers, from as little as £20, by calling 01455 553307 or emailing reception. Want some ideas of what you could use your vouchers for? Check out our Comedy Dining events for 2019. We have four events scheduled throughout the year. Saturday 28th Sept 2019 - Fabulous? Absolutely!